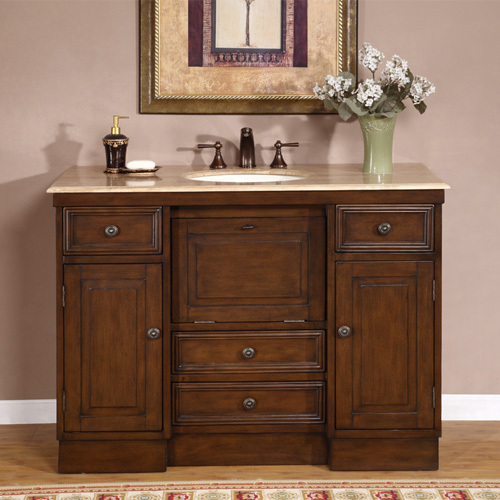 The Leone Single Bath Vanity features lovely beveled details and a hand-painted finish. The Roman Vein-Cut Travertine counter top includes an ivory ceramic under mount sink. It also comes pre-drilled for easy faucet installation. Its unique three door and four door storage provides a lot of room and organization. 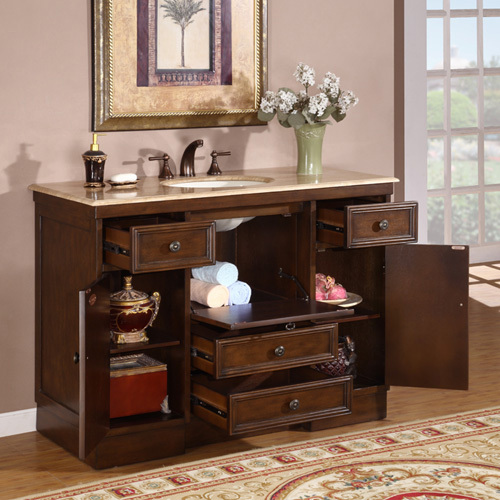 This single sink vanity provides ample counter space.